The new paradigm in camera straps. 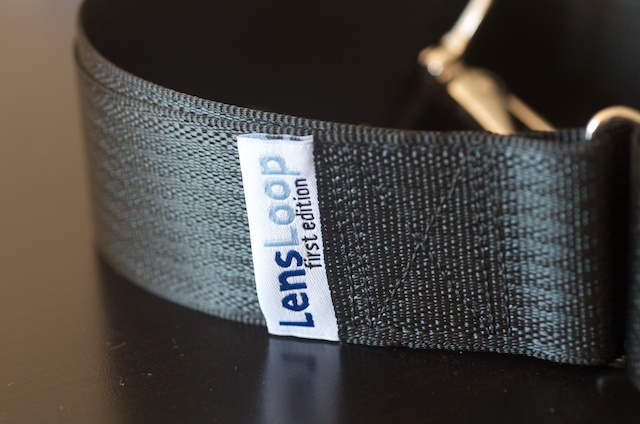 Lens Loop is a new Kickstarter project for a different kind of camera strap. Whereas stock camera straps go around your neck and, in addition to making you look like a huge dork, also are poor at preventing your camera from plummetting off your body onto the ground, the Lens Loop is worn cross-body. 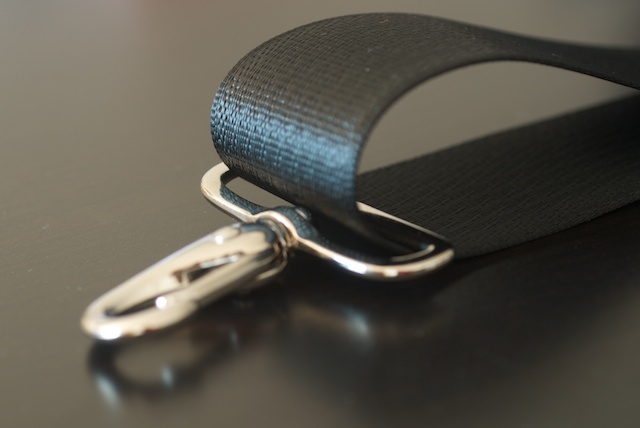 The strap itself is made out of car seatbelt-like webbing that comes in a variety of colors. The camera loop is a ring with a screw that goes in the tripod mount while a rubber washer encircles the screw to prevent scratching the camera bottom. The metal hardware comes in either chrome or distressed vintage. When I first saw it, I loved the styling and the idea but, admittedly, wasn't sure if it would be that much better than a regular camera strap. Well, the first time I tried it on it hit me that this thing is the new paradigm for camera straps. The traditional camera strap, by comparison, is archaic. The strap goes across your body like either a manly bandolier or a prissy beauty pageant sash (depending on your point-of-view) while your camera is on a free-sliding ring that hangs upside down like a Japanese wombat by your side. When you need your camera, the camera slides up the strap (as opposed to causing the strap itself to slide) extremely easily. I've always hated traditional camera straps but was always too proud to sport anything aftermarket because they would look even nerdier. It is so easy for the camera to slam into something if you bend down while it is around your neck. If you try to be trendy and wear the strap in a different way either across your body or on your shoulder it is even more apt to slide off and drop to the ground. Wearing the strap across your body feels so much safer because it hugs your torso while the camera rests at your side. Trying it on, you will find you have to be less aware of the camera (aside from brushing against things) because it is like wearing a messenger bag. Another benefit is the slide moves without any friction so, compared to wearing a traditional strap around your shoulder or body, the camera comes up to your eye and back down much faster. While wearing it in a dense crowd may not be ideal without holding the camera at your front, the Lens Loop is far more ideal and protective that any other traditional-style camera straps out there. Once you try it on, you will never go back to those dorky straps again.